The 2017 Howard I. Sanderow Outstanding Technical Paper Award has been selected, according to the MPIF. UK commercial vehicle (CV) production output fell in September, according to the Society of Motor Manufacturers and Traders (SMMT). The MPIF says that it has published the preliminary programs for POWDERMET2018 and AMPM2018. The MPIF reports that a NSF grant will be provided to select US students to attend its POWDERMET2018 and AMPM2018 conferences in June 2018. UK commercial vehicle manufacturing grew 17.6% in January due to overseas demand. GKN has agreed a multi-year partnership with Panasonic Jaguar Racing to provide design, manufacturing and consultancy services to the Formula E team. GKN plc has reported that chief executive Nigel Stein will retire at the end of 2017. He will also retires as a director in March 2018. 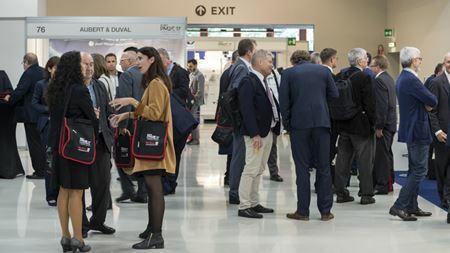 The organizers of the Industrial Nanocomposites Conference (INC) says that the show is now supported by The Graphene Council.